Just a quick shout out to the Valle family to thank them for joining in the fun at the EN World Chicago Gameday 30 last weekend. 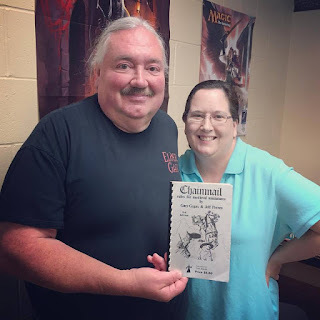 I found out just how much fun they had at the Surcoat Medieval Fantasy Combat Minatures Game in the morning when Richard posted on Facebook to let everyone know that once they got home his two boys got right to work on their own system. They plundered the family set of Memoir 44 for terrain and figures then created rules for movement, attack and defense factors. Good on you, Valle family, for taking tabletop miniatures gaming into the future!